I was under the impression that crafts were a girly thing. My brothers are the most bored 8 & 9 year old kids in the world. I'm constantly taking their video games away when they're at my house because they would play it every minute they were here if I let them. I have a "kids" board on Pinterest because I love the ideas I see on there, but unfortunately Isaiah won't be old enough to play these things with me for a while yet. I decided to try them out on my brothers this summer to see how they went, and if I wanted to keep the ideas around for when Isaiah is ready. I've noticed that if I have a craft planned, their moods drastically improve. As does mine. 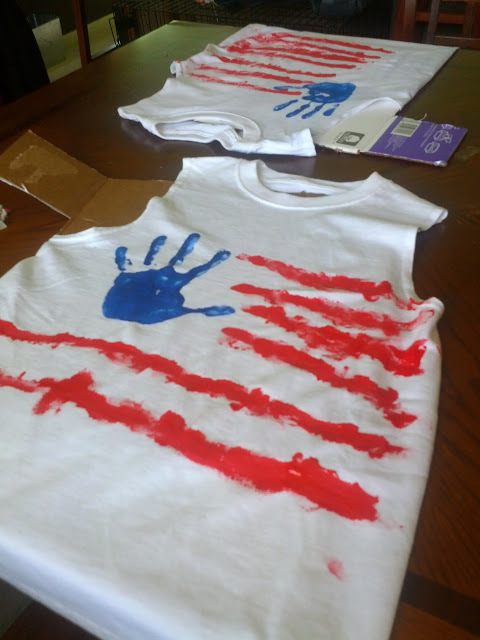 We made these shirts for the 4th of July. I bought a three pack of puffy paint, the two shirts, and we made both of them for less than $10 total. I helped them do their hand print, but they did the lines on their own...after a short lesson on the American flag. Who says summer can't be fun? After I noticed that they were interested in drawing and coloring, I bought dry erase markers that they would be able to draw on this plastic table with, and on our large front window. 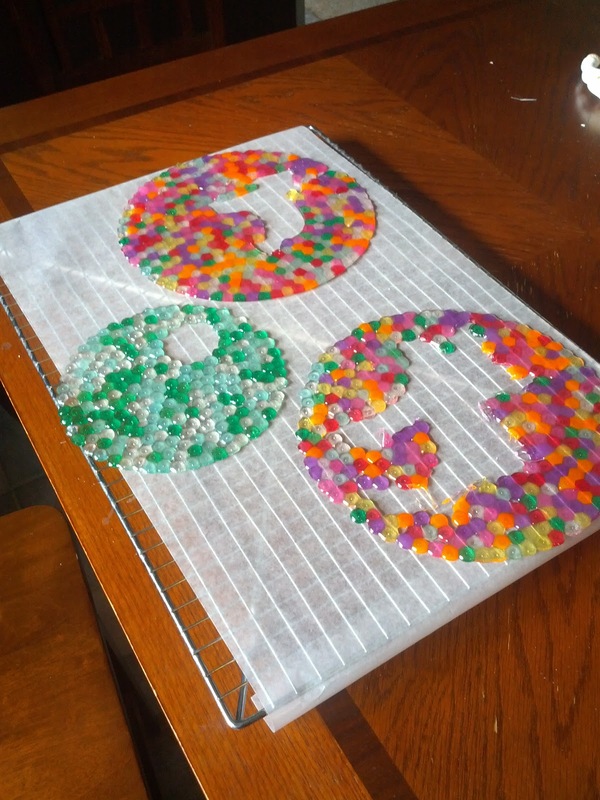 We made sun catchers by melting pony beads. I read that you can drill holes in these to make a place to thread the string to hang them by. I didn't feel like I had time for that, and if I used cookie cutters (that I bought at IKEA a few years ago and never made cookies with) that took some space away from the overall project, they wouldn't feel like they were placing beads forever. They did however, feel like I was really making them work, but made it through. Arrange in the pans, bake at 400° for 20-30 min. Once cool they will come right out of the pans. I was nervous, but it works. And these are our finished sun catchers. All we have to do now is hang them. I saw this idea and thought it would be great for the boys. They like to draw creatively, but Dillian really gets into it. 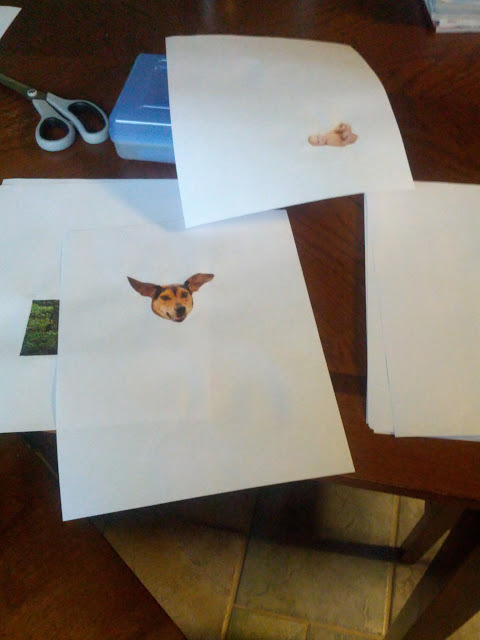 I cut small pictures out of magazines and glued them to paper and told them to finish the picture. I was so excited when I was explaining it to them, and Dillian asked if I had any blank paper. Fail. 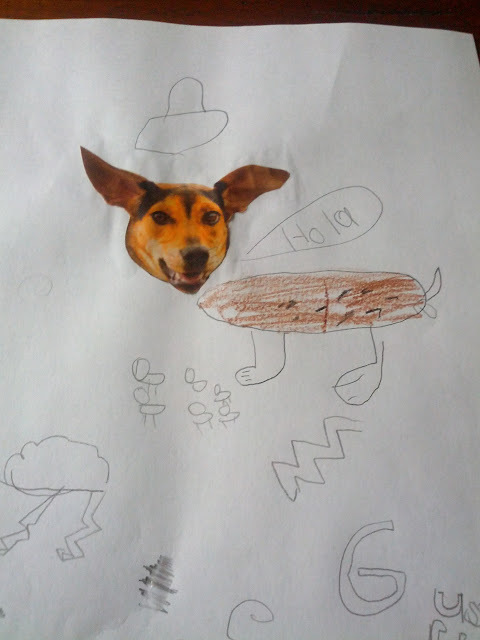 William, however, drew me a Spanish speaking dog, wearing a sombrero, who is a mother of six puppies. It was also storming that day, so I got some rain clouds with lightening. These are awesome! I also love the Spanish speaking dog. 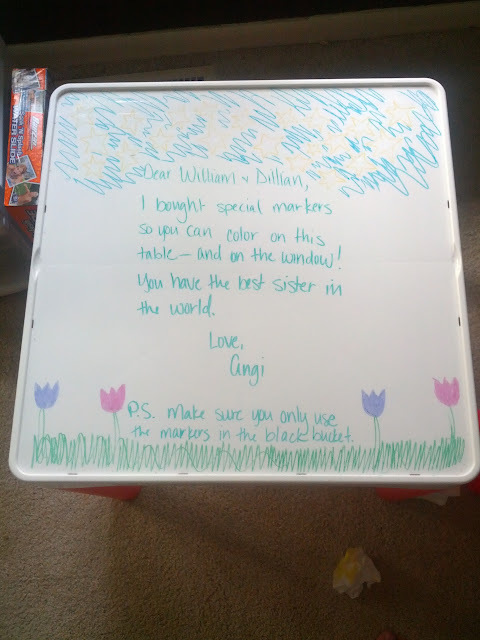 You are the best sister ever obviously. I'm going to need you to tell them this. Word for word. These sound like fun to me too! On Monday I am doing a soda tasting with my brothers since the 12 yr old one complained adults always got to drink special beverages and they always had the same thing! How did this go!? It sounds so fun! Very fun! I love that you spend so much quality time doing stuff like this. It's really great. Well look at you! These are great ideas. :) Thanks for sharing. I LOVE those t-shirts! I plan to do a lot of onesies like that for baby girl (to cover stains or just make something plain more fun) and I think they turned out fantastic!!!! So creative! 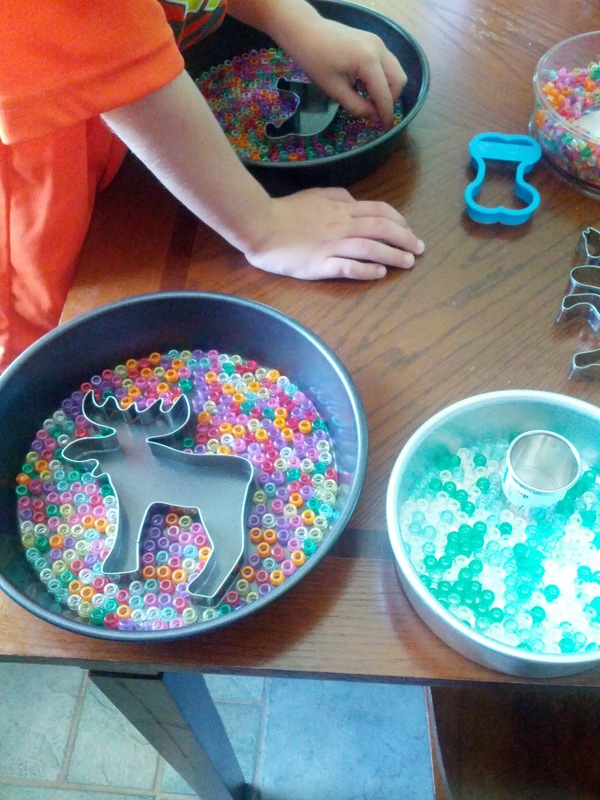 How about taking the cookie cutter out and then putting IN a solid color bead and rebaking them? Ever tried that?